If your business requires the use of refrigeration, our experienced and qualified engineers are on hand to carry out a full survey of your needs, before designing and installing a refrigeration system that accurately suits your budget and operation requirements. Refrigeration units, such as walk-in fridges and walk-in freezers, are ideal for premises that need to store a large amount of chilled goods or large items. Providing safe, hygienic spaces that allow for movement and easy access, these units are the perfect choice if you operate on a large scale. As well as the aforementioned walk-in spaces, we also offer chillers, ice machines and food display cabinets for smaller-scale chilling and storage. Our variety of solutions means that we can cater for businesses and premises of all sizes, providing you with carefully selected units that match your needs and the specifications of your building. Our expert team will handle the installation in a meticulous and efficient manner, ensuring that everything is perfectly fitted and ready to go. 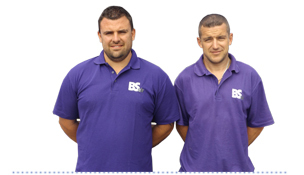 If you would like to know more about our refrigeration units, or for more information about anything else we do in the Truro, Bude and Cornwall areas, get in touch with BS Air today and we will be more than happy to help you.